All of our vireya seedlings are open pollinated which just means that Mother Nature did her thing and we have not interrupted. Many seeds have landed on our palm trees and germinated there. See the image of seedlings below. We recently had a truly spectacular golden yellow seedling bloom with two trusses side by side making it absolutely breathtaking. What do you think? 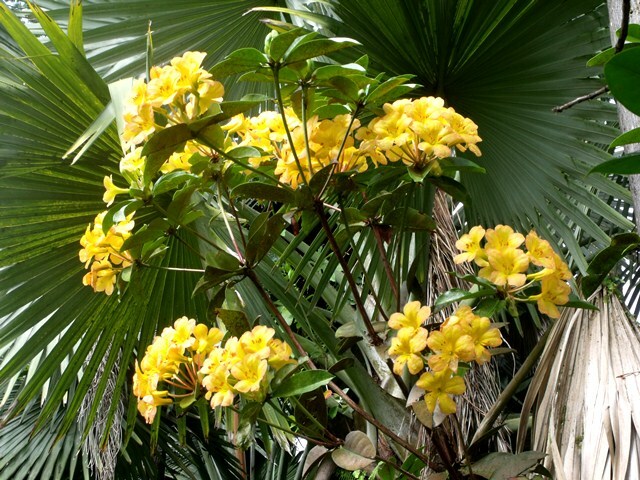 The plant sprouted about a foot above the palm root line and has grown to approximately seven or eight feet tall. This was its first bloom. The color is to die for! Just like Inca gold. 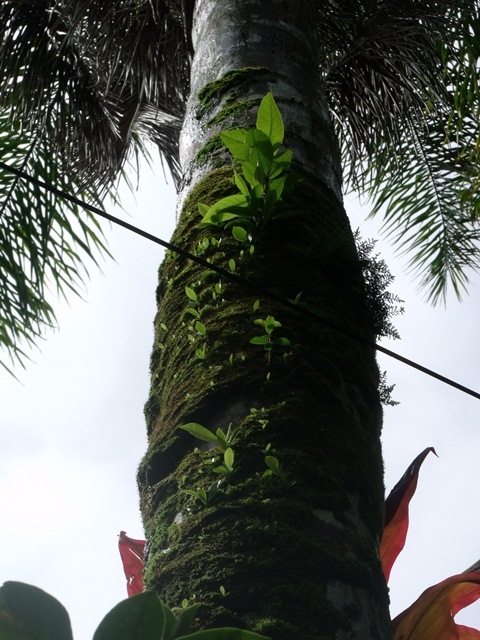 Next photo is of a really vigorous seedling grown up from the base of a palm tree. We didn't pinch this one at all and it branched nicely all on its own. Many nice full trusses of butter colored blooms. A good solid plant and very showy. It's been a lot of fun waiting and watching these lovely flowers find their way around our garden. Of the thousands of seedlings that germinate only a small percentage will live to bloom and grow. They have to be the tough ones because they get no help from me. No water when it's dry and no food. They are the survivors and what beautiful survivors they are. 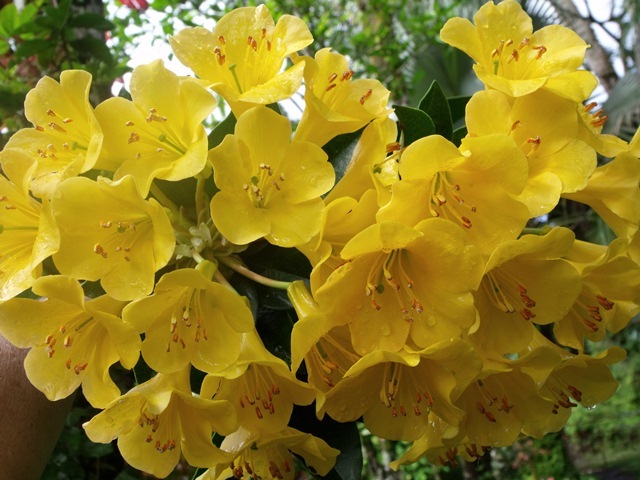 Check out our book Vireya Rhododendron to find out more about how we grow these wonderful flowers.